In the increasingly personalized consumer demand today, the designer brand is gradually maturing. For more and more by the market "favorite" designer brand, China International Clothing & Accessories Fair (CHIC) given the concern and support is also growing. 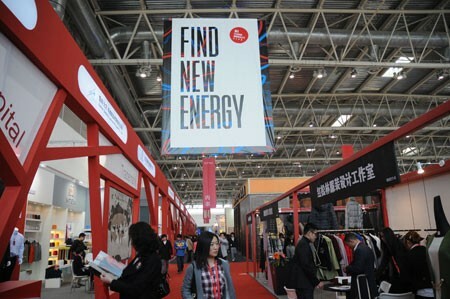 With the theme of "Crossing FIND NEW ENERGY", the goal of the designer gallery is to make every effort to make the rise of the power of Chinese designers possible. 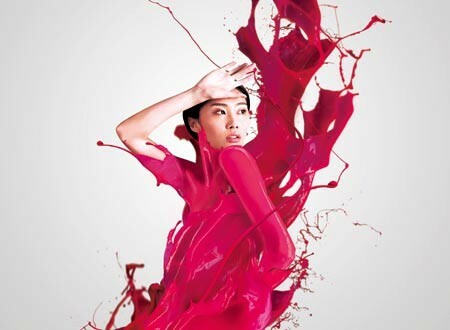 2012 "CHIC Designer Gallery" will be more specialized than in the past, where the elite collection of designers and fashion design agencies. CHIC will be here for them to build and market docking and display of professional platform. CHIC is undoubtedly one of the most influential events in the domestic apparel industry, gathering the top apparel brands and related fashion resources in China and even in the world. In recent years, CHIC has also set up a "Designer Gallery" for designers. This is a good opportunity to showcase works and platforms, but also be able to put the designer's work on the market to test. 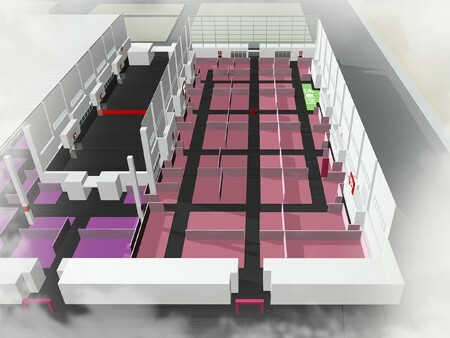 To be held in March 2012 CHIC2012 will organize the designer works show, on-site garment production process show and designer Salon and many other activities, will show the unique style of the designer brand. Designer Zone is CHIC2012 exhibition one of the top ten professional exhibition, 2000 square meters exhibition area can accommodate 30-40 designer brands, designer studios and agencies. CHIC2012 Designer Gallery will gather the most extensive, the most elite, most market value of a group of elite designers and design agencies, from fashion, clothing, visual, display and plane formed a huge design force to achieve with the international and domestic fashion trade Market, connect with excellent apparel enterprises both at home and abroad, accumulate funds for cutting-edge designers to achieve business start-ups, raise awareness and integrate with industry resources, and provide the most comprehensive and cutting-edge display platform for mature elite designers. The designer gallery will be fully commercialized Means of operation to promote the collective rise of a new generation of Chinese fashion designers as the ultimate goal. B, "Emerging designers with market potential" - such as Ye Mingzi, Liu Fang, Gao Yang, Zhang Chi, VEGA ZAISHI WANG, Ye Qian, Liu Lu, Wei Tengfei and other cutting-edge designers. C, "professional design agencies" - such as a new fashion international agencies, China Designers Union, TUDOO design agencies, Jia Yu design agencies, etc. Ji Yao's family of designer brands, "Ji Yao" will be exhibiting CHIC2012, its brand aim is "to design a unique beauty, but also suitable for everyday wear clothing." Independent design R & D team and an independent production line is where the company's vitality, and fabric collocation, version of the type of processing requirements almost harsh today's Ji Yao. Ji Yao is the first time to participate in CHIC, and the move as a tentative step. "This will be our most valuable experience," said Wang Xiaona, chief designer. At present, the domestic designer brand is not yet mature, but Wang Xiaona full of confidence in the future: the development of designer brands is very viable. Because there is no shortage of talented, experienced and outstanding designers, these designers have their own ambitions, hoping to do what they want to do, do something good. While they may also be hampered by a variety of factors, the trend is unstoppable over time. Designer brand "GRACE CHEN" is still very young, but its president and chief designer Chen Ye Huai believes that the brand's unique positioning will make it rapid growth. Returning from the United States, Chen Huaihuai, an industrialist, has his own perspective on China's current fashion: "The degree of fashion in a country depends on the people in the country, not just a few fashionists." She believes that the domestic and foreign fashion gap is not a designer is not a big brand, but the public's attention and the Chinese concept of dress. In the United States, even in the hard-working people, festivals or parties, the dress is all about exquisiteness. It can be said that this has little to do with the economic income, but rather the concept. Designers should not just highlight their own brand style, more importantly, to achieve the most beautiful customer requirements. While it is important to develop a designer, it's also important to develop a stylish crowd, and designer brands have a responsibility to guide them to their own dressing style. Chen Ye Huai said that "GRACE CHEN" customer base is China's high-end crowd. "We will provide them with tailor-made services for formal occasions, and although it is impossible for us to change the mindset of all, we may change some of them first," she said with a smile. 2011 CHACE CHEN participated in CHIC for the first time, and Chen Huai-huai is still very excited to mention it now. "CHIC let me know the national market, understand what our colleagues are doing, and bring us a steady stream of customers." For her soon after she returned, CHIC gave her a golden eye to see the Chinese market. "Our relationship with CHIC is not so much an exhibitor, it is more like a friend and a long-term partner," said Zhao Qian, director of AFP. The same as a fashion carrier, they are making unremitting efforts for the internationalization of China's fashion. A new fashion to France CHIC is mainly to promote China's new generation of designers, so that they and domestic and international standards to help them grow, so that their ideas and the reality of the garment industry contacts, sparks. Speaking of designer brands, Zhao Qian said that the designer brand is not to meet the market brand but to lead the market brand. Now the designer brand has gradually found its own direction. With the change of economic structure, with the change of the concept of mass consumption, the market demand in China will change greatly every five years. This is a good time for the designer brand to guide the public. The future of designer brands will be more and more markets. With the popularity of hand-made and multi-brand stores continue to grow and develop, some of the designer brand may be eliminated, but the brand left will find their own space for survival. The romantic "Comme lun" brand will showcase her unique beauty for the first time on the CHIC2012, bringing a modern, wearable style to create urban women's confidence, independence and elegance. Shenzhen Ya Xi Garment Co., Ltd. was able to lead the "Comme lun" at the beginning of the CHIC clothing event, also proved its strength. Knitting and printing is the flagship of "Comme lun". Creative director Qiu Zahao described his fashion as "modern unruly romanticism." As a new designer brand, Comme lun hopes to create its unique brand image at CHIC. Qiu Zihao revealed that the brand will be presented in the form of "party animal" themed parties, bringing the dynamic beauty to the CHIC exhibition and merging exaggerated art and wearability perfectly. "We will use the images, the wind and the dynamic models to express the exaggerated costumes, but when it is restored, it will be an ordinary garment." Qiu Zihao revealed his prediction this year at CHIC that it seems that he The blockbuster Comme lun is a must. For the designer brand, Qiu Zihao summed up the differences between the regions: the North faction represented by Beijing paid more attention to internationalization and fashion, but the practicality was somewhat inferior and the price was too high. Shanghai's brand style is exquisite and delicate, and is closer to advanced customization ; While the southern brands in Guangdong and other places, more focused on the bulk of clothing, the lack of cutting-edge designers. In the face of such a situation, Qiu Zihao, a rookie designer in the South, is determined to create a trendsetting image of the South brand.